“All of Me” is one of those songs that just overcomes me. It sums up how I feel about every one of my children — how I felt when I learned of Calvin’s amniotic band syndrome and then held him after he was stillborn, how I felt during each following pregnancy (including the pregnancy with my earth baby). Matt Hammitt. “All of Me.” Every Falling Tear. 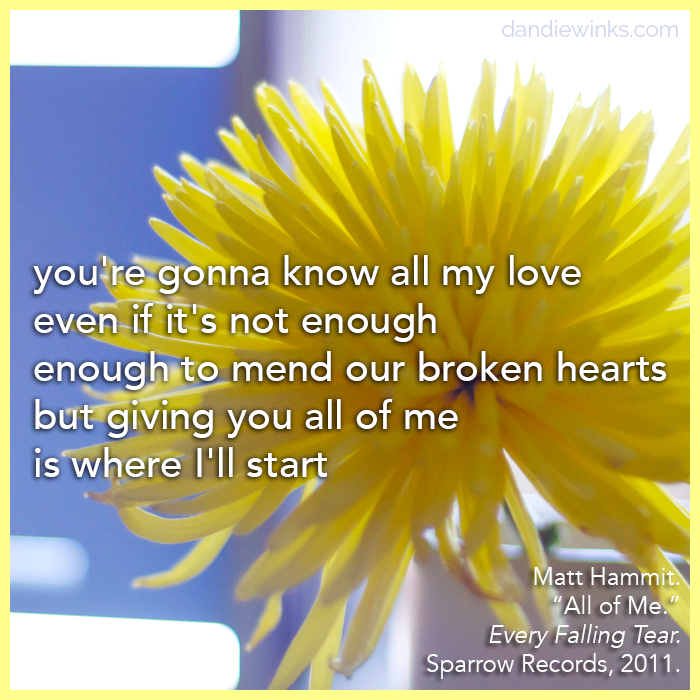 Sparrow Records, 2011.